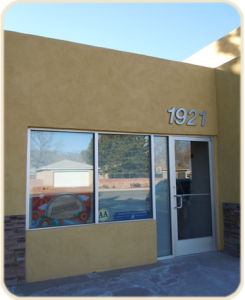 Albuquerque Intergroup serves A.A. in the greater Albuquerque area. Need a change your meeting? (name, time location, etc.) – Go to Meeting Page & click on meeting. There you will be given a “Request a change to this listing” option in the lower left part of page. Serve as your group’s Intergroup representative or participate on the Steering Committee. Volunteer to answer the phones at Central Office. Add your name to Central Office’s “12th Step List” to help carry the A.A. message to the still-suffering alcoholic. Central Office encourages all Albuquerque area A.A. groups to elect an Intergroup Representative. Join us at the next Intergroup meeting, held the second Sunday of every month.